Earlier this week, we told you what clients look for in an attorney. Now, when all those clients come rushing to your door, how do you decide whom to represent? It's better to assess what you want in a client sooner, rather than later, because once the relationship begins, it can be difficult to escape. 1. Letting You Handle the Legal Stuff. Just as WebMD has made everyone a doctor, so has Wikipedia made everyone a lawyer. It's not often that subpoena duces tecum comes out in polite conversation, so look for signs that a prospective client has done some extracurricular legal research. This client will second-guess your decisions and make your life difficult. So how do you find out if your client will let you handle the strategy? Make sure he or she isn't arguing with you about legal theories. The client should be clear about what he or she wants, but should leave the Lawyer Latin to you. One of the biggest complaints solos and small firms have is clients who don't pay on time. Even worse, sometimes clients think that they don't have to pay if they didn't get exactly the outcome they wanted. Obviously, you should not only have a fee agreement in writing, but in situations where the client might not be able to pay, it would be wise to charge a fixed fee up-front, or get a retainer, just in case. Of course, it could be that the client just doesn't have the money to pay. 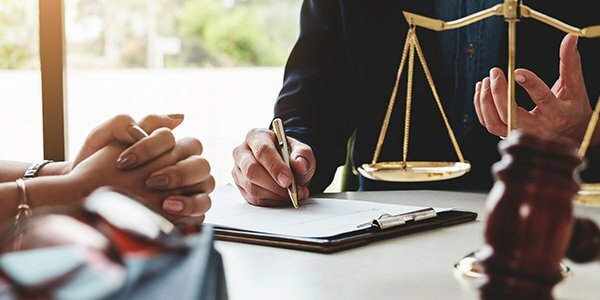 Bargaining the fee way down at your initial consultation could be a sign that the client doesn't know how much legal services cost, but it could also mean that he or she just can't afford your services (or anyone else's). The attorney-client privilege is sacrosanct, so clients should feel free to spill their guts to you, right? Of course not. As Dr. House observed, "Everybody lies." Clients won't tell you the whole truth for any number of reasons, from not believing that you can't tell anyone else their secrets to fearing that you'll judge them. When interviewing clients, look for inconsistencies in their stories and ask them to explain. You should be reassuring your client that you're not the morality police and that your communications are protected. If the client can't give you a satisfactory answer to an obvious factual problem, then he or she probably isn't telling you the whole story, and the odds are it won't be the last time that will happen. Speaking of communication, clients complain about attorneys who don't communicate, but the problem goes both ways. As you know, the legal world operates on deadlines. A client who doesn't respond to the other side's settlement offer in time could forfeit the offer -- and then blame you. Look out if your client is late to meetings or just doesn't show up. On the other side, of course, the client shouldn't communicate with you too often. Make sure that both of you know how often you'll be talking to each other -- and that you're both OK with that level of communication. If you keep these four factors in mind when a prospective client comes knocking, odds are that you'll have a great working relationship that doesn't make you want to tear your hair out. Editor's Note, July 26, 2016: This post was first published in July, 2014. It has since been updated.